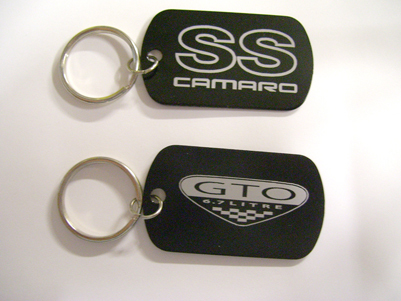 Dogtag Keychains (#0073) FREE w/Purchase! 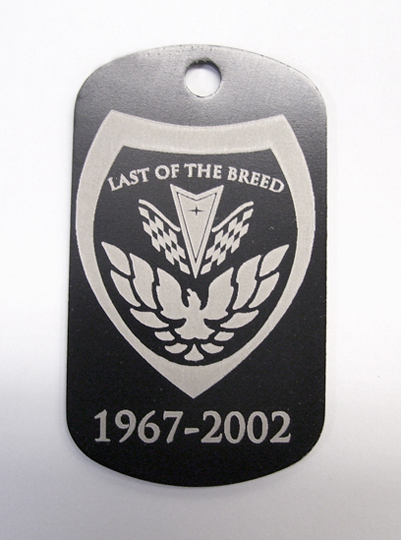 Our key chains are made of raw aluminum and are powder coated to make them durable, weather proof, and ready for laser engraving. 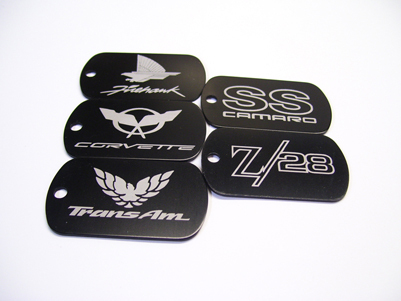 The design can represent your vehicle make/model, build number, engine modification, performance shop or your cat! 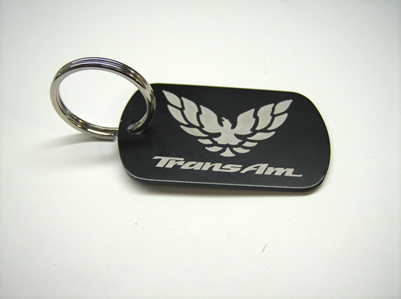 This way your key chain can be tasteful, yet unique. FREE with purchase of $200 or more, just add to your basket with your qualifying order. A design concept will be emailed to you for approval prior to production. General Motors Trademarks used under license to third_shift|studios. Notice: Typical turn around time is 2-3 weeks for most orders. Rush handling is available at check out. Each piece we produce is individualy made per request, we do not have ready-made items in-stock to drop ship.